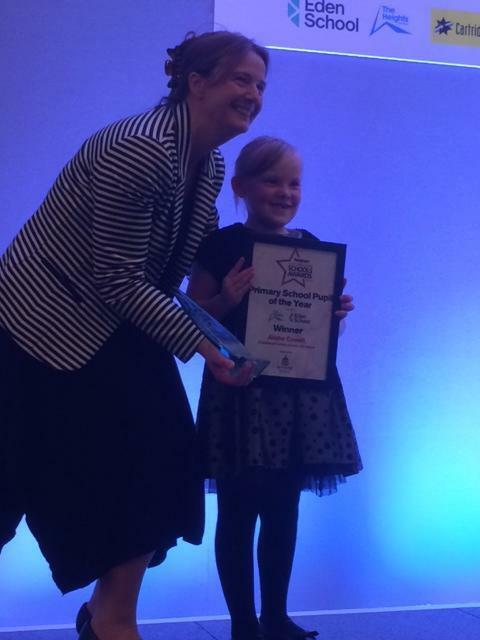 Alisha Cowell wins Pupil of the Year! 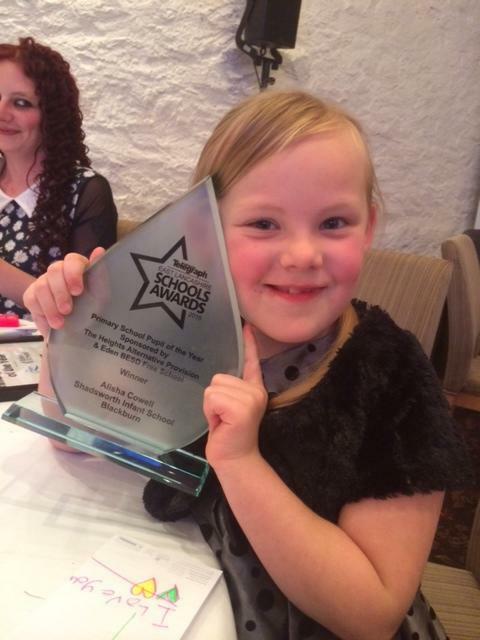 We are proud to announce Alisha Cowell has won ‘Primary Pupil of the Year’ in the 2015 Lancashire Telegraph schools awards. 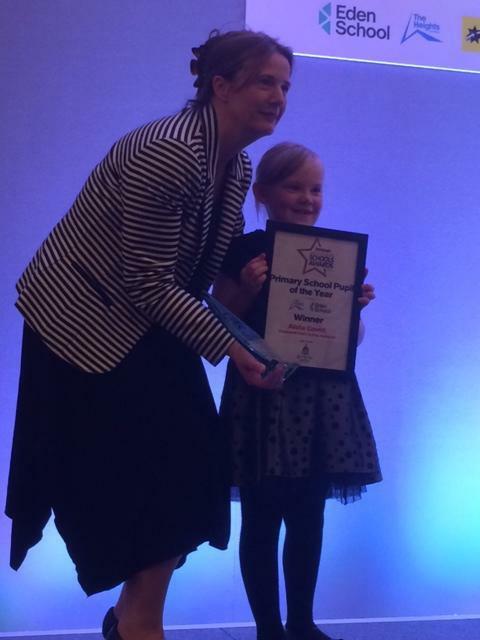 Alisha puts 100% effort into everything she does, in every area of her school work and is always a caring and sharing member of our school community. This is a wonderful achievement and really well deserved, especially when every other nomination was for Year 6 children! 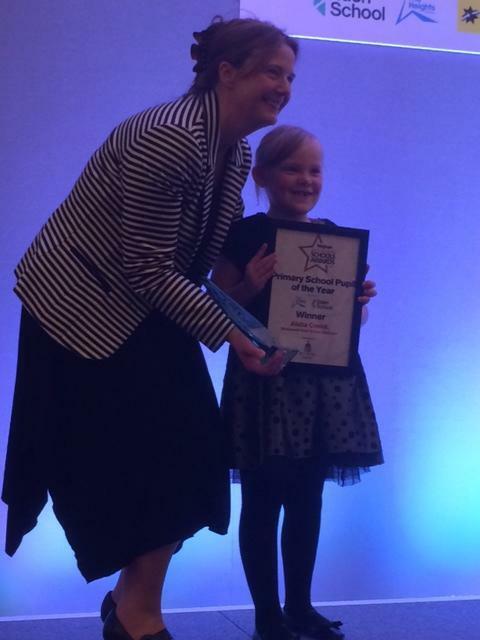 Well done Alisha! 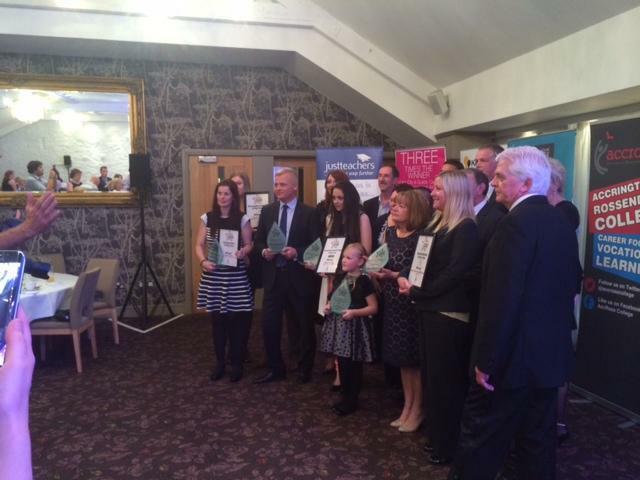 Alisha and staff attended an awards ceremony at Stanley House Hotel last night where she picked up the award.